The U.S. Judiciary keeps track of complaints filed against federal judges. 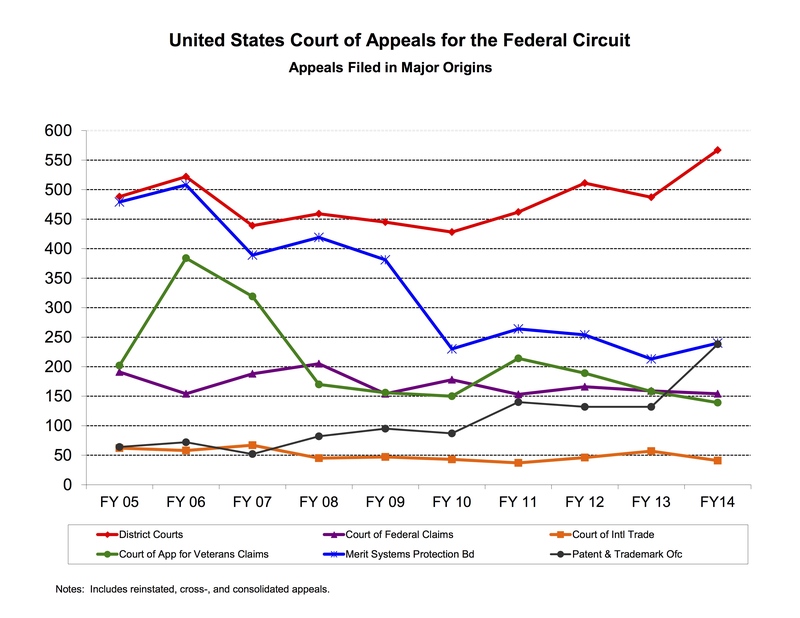 During the fiscal year that ended September 30, 2014, six judicial complaints were filed against judges under the administration of the Federal Circuit — the lowest number of complaints for any of the federal judicial circuits. [Chart]. Judge Wallach writing for the Federal Circuit in Biosig Instruments, Inc. v. Nautilus, Inc., ___ F. 3d ___ (Fed. Cir. 2015) and contrasting the Supreme Court’s new standard with the Federal Circuit’s old standard for indefiniteness. The USPTO Solicitor’s Office has also grown. It now numbers 34 attorneys. Oral argument of the week: Shinnecock Indian Nation v. U.S. I find the concept of “judicial takings” and patent law to be pretty interesting. I posted about this previously [here]. 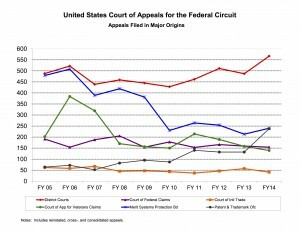 The Federal Circuit recently decided Shinnecock Indian Nation v. U.S. which is tangentially related to judicial takings, although not in the realm of patent law. During the oral argument, the Supreme Court’s plurality opinion from Stop the Beach Renourishment v. Florida Department of Environmental Protection, 560 U.S. ___ (2010) is discussed — although that opinion is ultimately not mentioned in the Shinnecock decision. US District Judge Rodney Gilstrap of the Eastern District of Texas is sitting by designation with the Federal Circuit this month. This marks two months in a row that the Federal Circuit has hosted visiting judges. Happy Birthday to Patently-O! I think it turned eleven today. That was a quick eleven years. You are currently browsing the 717 Madison Place blog archives for April, 2015.